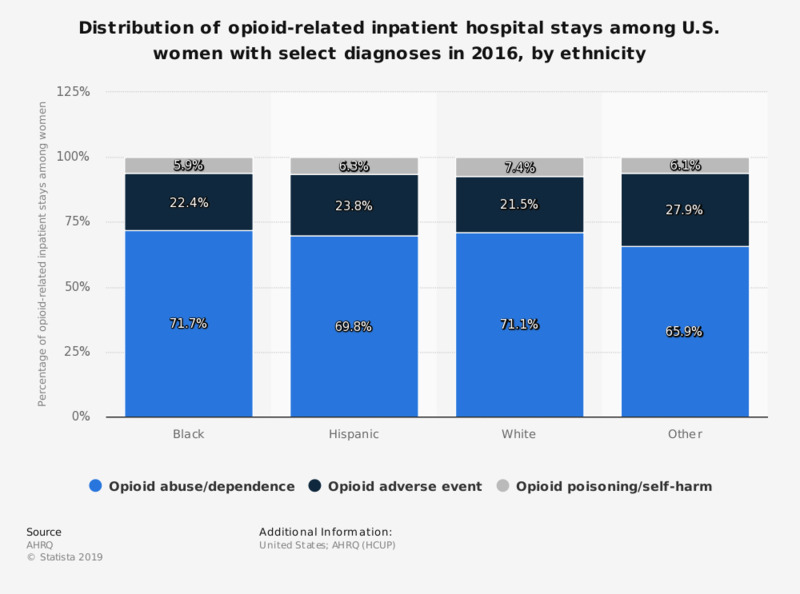 This statistic depicts the distribution of opioid-related inpatient hospital stays among U.S. women with select diagnoses in 2016, by ethnicity. Among those women that identified as black with opioid-related inpatient stays, 71.7 percent were diagnosed with opioid abuse/dependence. Some discharges included more than one opioid diagnosis type. For this figure, discharges were categorized into only one opioid diagnosis type category using the following hierarchy: abuse/dependence, adverse effect, and poisoning/self-harm.